Product prices and availability are accurate as of 2019-04-19 22:07:03 UTC and are subject to change. Any price and availability information displayed on http://www.amazon.co.uk/ at the time of purchase will apply to the purchase of this product. 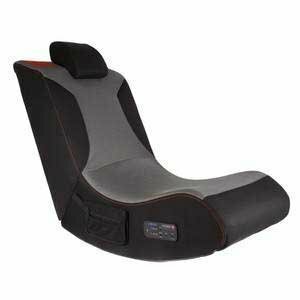 Immerse yourself 100% with the Pro Gaming Chair! Compatible with Xbox, PS3, Playstation, IPod, & MP3 Audio Players. 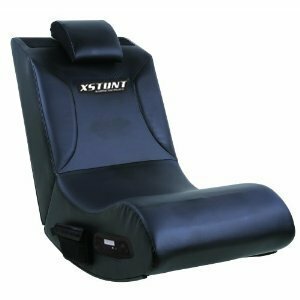 The XStunt Pro Sound Rocker Chair is a comfortable, rockable chair that delivers a powerful audio experience designed to intensify your enjoyment of video games, movies, music and more! 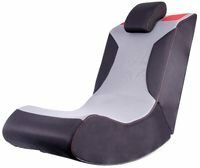 Features : Subwoofer with deep rumbling bass High-quality speakers Multi-player connection (connect up to 8 units together) Breathable Micro-mesh backrest Safety lock backrest Compatible with all gaming consoles,audio and video devices Folds away when not in use for easy storage Adjustable headrest Ideal for use with Guitar Hero! NB : Ships in original box.